Accounts of many cases of werewolves published in 1912 by Elliott O’Donnell, the renowned Victorian ghost hunter and authority on the supernatural. Accounts of hauntings in England and Wales, published in 1908 by Elliott O’Donnell, the renowned Victorian ghost hunter and authority on the supernatural. An occult novel, first published in 1912 by Elliott O’Donnell, the renowned Victorian ghost hunter and authority on the supernatural. An account of incidents from some of Elliott O’Donnell’s twenty years as a ghost hunter, including his first experiences. First published in 1916, by the renowned Victorian ghost hunter and authority on the supernatural. With illustrations. An encyclopaedic account of the supernatural in Victorian times, published in 1911 by Elliott O’Donnell, the renowned Victorian ghost hunter and authority on the supernatural. Including such topics as obsession, possession, mummies, occult hooligans, occult bestialities, vampires, were-wolves, fox-women, corpse-candles, fire-coffins, the death-watch, mermaids, the wandering jew, attendant spirits, banshees, ghosts, pre-existence and the future, projection, telepathy and suggestion, the psychic faculty and second sight, intuition, clairvoyance, automatic writing, phantom ships, the sargasso sea, river ghosts, sirens, the barrowvian, boggle chairs; and superstitions such as the hand of glory, the bloody hand of ulster, the seventh son, birthmarks, nature’s devil signals, table-turning, charms and checks against ghosts, thirteen at table, spilling salt, looking-glasses, psychic days, fortune-telling, palmistry, pyromancy, hydromancy, the crystal, talismans and amulets, “the evil eye”. 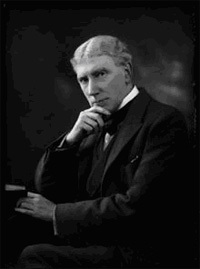 Elliott O'Donnell (27 February 1872 - 8 May 1965) was an author known primarily for his books about ghosts. He was said to have seen a ghost when he was five years of age, and to have also been strangled by a mysterious phantom in Dublin. He was born in Clifton, Bristol, England, the son of an Irishman, Reverend Henry O’Donnell, who later travelled to Abyssinia while awaiting preferment to a new parish and was attacked by a gang, robbed and murdered. Elliott O'Donnell was educated at Clifton College in Bristol, England, and later at Queen's Service Academy, Dublin, Ireland. After originally intending to take his entry exams at Sandhurst with a view to joining the Royal Irish Constabulary, he later became a ghost hunter, but first travelled in America, working on a range in Oregon and becoming a policeman during the Chicago Railway Strike of 1894. Returning to England, he worked as a schoolmaster and trained for the theatre. He served in the British army in World War I, and later acted on stage and in movies. His first book, written in his spare time, was a psychic thriller For Satan's Sake (1904). From this point onward, he became a writer, specializing in true stories of ghosts and hauntings, which were immensely popular. He became known as an authority on the supernatural and was called upon as a ghost hunter. He also lectured and broadcast (radio and television) on the paranormal in Britain and the United States. On 8 May 1965, he died aged 93 at the Grosvenor Nursing Home, Clevedon, North Somerset, England. Accounts of hauntings in England, published in 1919 by Elliott O’Donnell, the renowned Victorian ghost hunter and authority on the supernatural. Including hauntings in London, St. John’s Wood, Derbyshire, Birmingham, Brighton, Sydenham, Wiltshire, and others. Accounts of hauntings in Scotland, published in 1911 by Elliott O’Donnell, the renowned Victorian ghost hunter and authority on the supernatural. Accounts of ghostly phenomena, witnessed by himself and by others, published in 1913 by Elliott O’Donnell, the renowned Victorian ghost hunter and authority on the supernatural. Also includes the author’s observations on such phenomena as phantasms, the souls of the good, futurity for dumb animals, phantasms of the living, the clothes of phantasms, phantasms of the murdered and of suicides, elementals, vagrarians, morbas or disease elementals, clanogrians or family ghosts, impersonating elementals, neutral elementals, materialisation, the psychic faculty, phantom coaches, clocks, ships, etc., phantasms in mines, phantasms of the sea, haunted trees, telepathy, spiritualistic séances, automatic writing, the laying of phantasms, and phantasms of the insane. Accounts of hauntings by dogs, cats, horses, apes, sheep, goats, pigs, bears, rabbits and birds. First published in 1913 by Elliott O’Donnell, the renowned Victorian ghost hunter and authority on the supernatural.